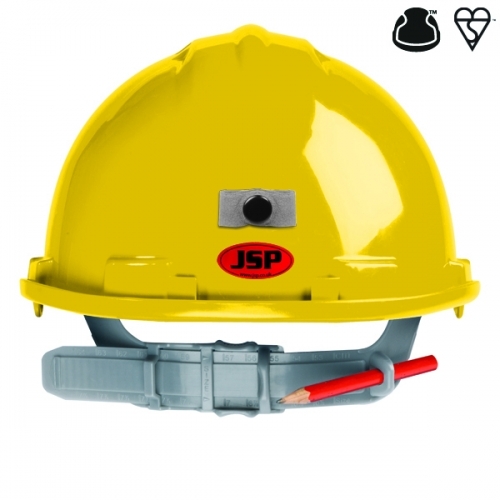 The JSP Mk7® safety helmet is the ultimate in EN397 head protection. Years of research and development went into creating the most comfortable, safest helmet available, packed with features to maximise comfort and safety. 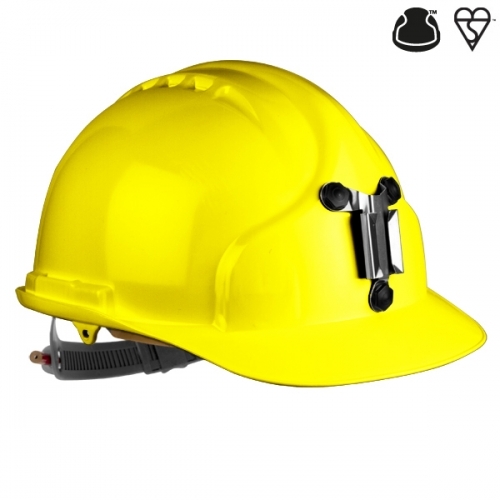 All round head protection, protects the head from every angle not just the magic circle on the crown required for EN397. 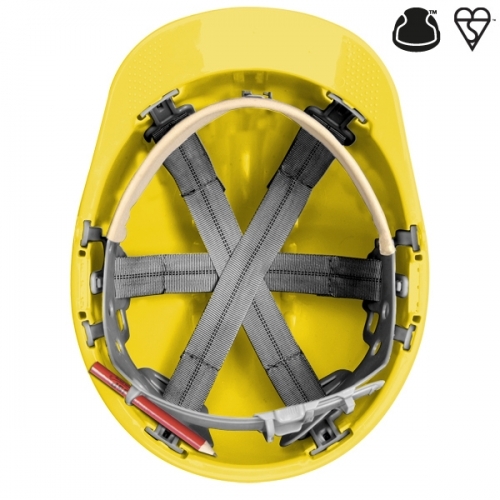 The iconic design of the Mk7® hard hat has become the solid foundation for the new Evolution range. Its no-nonsense appearance and strength have made Mk7® one of the most recognisable modern safety helmets available today. With a much copied style that has become a true classic, a design that still performs far higher than the EN397 standard requires, coupled with its tried and tested flexibility, make the Mk7® a true asset for any workforce. Universal slots enable firm fitting of Surefit Contour™ ear defenders and a range of Surefit™ safety visors for complete above the head protection, meaning all your protection is to hand and easy to deploy. Extremely comfortable terylene webbing moulds to the individual shape of the wearer’s head. A rain channel directs rain away from wearer’s face. Reduced peak available for better vision whilst working at heights. The Mk7 helmet is now available with the EN 50365 Class 0 10KV standard. This standard is applicable to electrically insulated helmets used for working live or close to live parts on installations not exceeding 1000Vac or 1500Vdc. 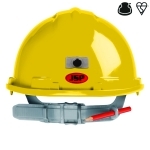 The helmet with integral visor ensures that eye protection is on hand when needed and never lost, whilst removing the need for additional eye protection. Protects to EN166.1.F.